We’re FALLing for the Newest Game Update! Happy Thanksgiving! There’s so much to be thankful for in Minutia this November…even the Slugs are gobbling up the Thanksgiving love (and all of the turkey)! From adorable new Fiends and exciting new adventures to a Magical Birthday Bash, the latest update is “stuffed” full of fun, so let’s dig in! Grab a slice of cake and celebrate Best Fiends 4th birthday at the Magical Birthday Bash! Party with us and collect balloons around the Best Fiends universe to win some presents, including free gold! Collect all the balloons to win a magnificent new Exclusive Fiend Style: Whisper the Magician. Wear your stretchy pants ‘cause it’s time for Thanksgiving Dinner! Put your culinary skills to the test to help Chef Nog prep for a Fiendsgiving feast for his pals! You can even earn free Gold by helping Chef Nog find all of the lost dinner items scattered around Minutia! And be sure to head over to the shop and pick up Chef Nog for a little extra spice in your life! Bon Appétit! Play 20 new levels added EVERY weekend! 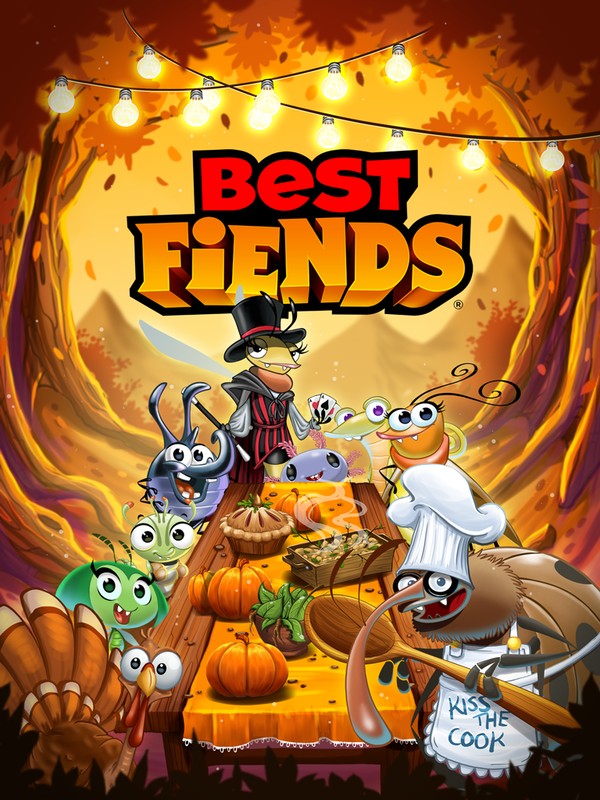 This update is sweeter than pumpkin pie, so be sure to download or update Best Fiends now for FREE!